Utah administers the following assessments listed below. They use ACT/PLAN/EXPLORE for college readiness. Utah is not part of a common core testing consortium. The Utah Board of Education (USBE) signed contract with American Institutes of Research (AIR) for the development, administration and reporting of the SAGE Assessment System. WIDA is the test vendor for the ELL assessments. AGE is Utah’s computer adaptive assessment system aligned to the state’s core standards beginning in the 2013-2014 academic year. This page will cover only the Summative and Interim and will not go into details regarding Formative piece. The Summative assessment is taken once a year in the Spring. Attached is an assessment schedule for the 15-16 academic year. Performance Levels are called "Proficiency Levels" for SAGE. The Scale Score ranges vary across subjects and are vertically linked which allows one to compare performance between test years in a given subject but not across subjects. Clusters for SAGE are called "Reporting Categories". The Reporting Category scores include a scale score, but do not include the proficiency levels. 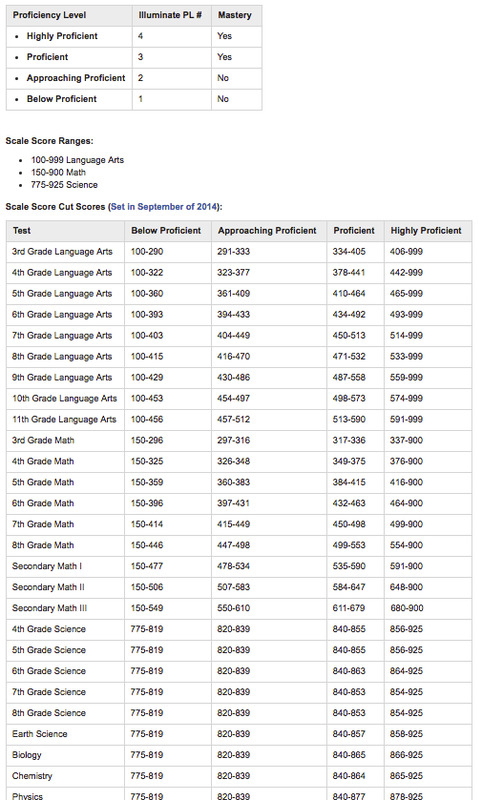 In the Interim, the Overall Scale Score Cut-offs (see above) can be used to determine proficiency at the Reporting Category level. This section includes fields that would be used for reporting purposes and information about the import job built in Illuminate for this dataset. Here is the Illuminate Import Spec used to build the import. The above tables are available for SAGE. There is a SGP (Student Growth Percentile) field (sage_yyyy_subject_sgp) which currently doesn't look to be populated in the data which should in the future be included in reports as a measure. 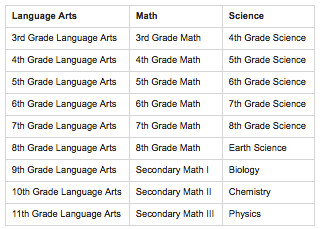 You should be able to include the 13-14 SAGE assessment data and the 14-15 SAGE assessment data to chart the overall Scale Score Trend for ELA and Math Subject Grade Levels.